Over the past 20 years, the employee experience has largely focused on collaboration. The open office floor plan encouraged team cohesion, chat apps facilitated faster communication, and new enterprise apps enabled companies to work together on documents, spreadsheets, and other data in real-time. We’re now seeing a huge shift away from the age of collaboration and a move towards the era of personalization and productivity. At work, people now want to eliminate distraction and noise. They want to work smarter. When it comes to productivity, there’s no “one size fits all” approach. Employees are increasingly choosing the software, devices, and processes that meet the needs of their unique work style. Today, we often see this on a departmental level, where teams roll out applications for specific use cases, but this personalized experience is now making its way down to the individual user, achieving peak productivity as a result. However, personalization introduces a new set of challenges. How do individuals find information, prioritize notifications, and unify workflow when they’re using a large number of applications? And how do companies ensure compliance, security, and audit of information? The workplace pendulum is swinging away from collaboration and back to personal productivity. We already see this with meetings, as organizations strive to meet only when necessary, and cut down meeting times for efficiency. We also see this with alternatives to the open office floor plan. While there are legitimate benefits to an open office floor plan—such as encouraging communication, collaboration, and a sense of camaraderie—it also introduces a lot of distraction. Open office floor plans are often noisy, disruptive, and ill-suited for concentration. Leading companies are now alleviating this problem by introducing quiet spaces, such as private booths, to enable employees to work without distraction. They also allow employees to work remotely from a place of their choosing when they just need to get their heads down. As the employee experience shifts towards personal productivity, organizations are providing flexible work environments that are better suited to the needs of the individual, while still allowing for periodic collaboration. Think about the apps you use at home compared to the apps you use for work. While the comparison may not be apples to apples, chances are, the software you use at home is more engaging, smarter, and simpler. Enterprise software is drastically far behind the standard set by personal technology. To remain competitive, companies are addressing this head-on. Large software vendors are investing enormous amounts of money to bridge this gap, and some have even been hiring whole design studios to help. They’re focusing their efforts on making enterprise software smarter, simpler, better designed, and more integrated with AI. Consider this: 80% of workers identify themselves as deskless workers, yet mobile apps for enterprise software are embarrassingly bad. Most enterprise software companies prioritize products for desktop browsers first—and, unfortunately, their mobile offerings are an afterthought. Employees rarely download enterprise apps on their personal mobile phones, creating a huge missed opportunity for employees to connect and be productive through the device they prefer to use. Make no mistake—mobile enterprise is a mess. It’s very unlikely that an employee has mobile access to the right system, the right app, and the right information. Large enterprises are forced to build expensive mobile apps for their employees that have a poor user experience and are quickly out of date. Most people just wait until they get to their desk. Or they send an email. But a new generation of tools are coming: employee “super apps”’ that act as a gateway to the enterprise. These apps connect to existing systems and summarize vast amounts of information into simple, digestible feeds. They are easily extensible at low cost, using either low-code builders or simple web-based “micro-apps.” We expect most companies to adopt similar technology to better serve their on-the-go workers. 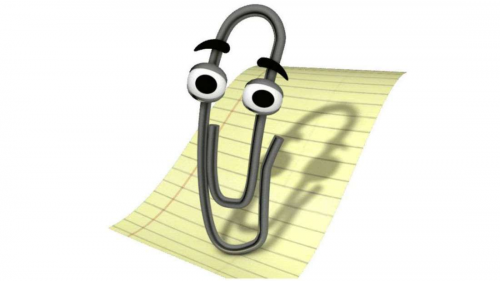 Remember Clippy, Microsoft Office’s helpful little paperclip, who could help you write a letter or build a resume? With the advances in Artificial Intelligence (AI), employees can finally look forward to having smarter (and hopefully less bothersome) digital assistants by their sides . But don’t expect a holographic secretary sitting next to your computer. The digital assistant of the future will be less personified and more ingrained in your day-to-day workflows. Imagine a digital assistant cross-checking schedules and meeting room availability and then booking your meetings for you. Imagine being able to target the specific region, role, and sector you should sell to based on the probability of the customer buying right now. Or imagine AI pulling together important information about a job candidate across resumes, digital profiles, and more. These are all tasks that can be automated. By allowing our computers to handle the easy, mundane tasks, employees will be able to focus on higher caliber tasks that drive more value to the business. While the employee experience is undoubtedly at a low point, a better future is coming. Software will become more personalized and mobile, workspaces will be conducive to both concentration and collaboration, and AI will empower employees to be exponentially more productive. The companies that thrive in the future will be those that are currently investing in these initiatives. If your company isn’t, there is no better time to start than today.